Australia and New Zealand To Invest Heavily In Smart Grid Infrastructure. Home » New Zealand » Australia and New Zealand To Invest Heavily In Smart Grid Infrastructure. Oceania, the tropical Pacific Ocean region encompassing Australia, New Zealand and scores of other nations has one of the most developed power sectors in the world, with well performing utilities, unsubsidized electricity prices, and high rates of electricity consumption. According to a new analysis by Northeast Group, LLC, these trend lines will only grow as together Australia and New Zealand are poised to invest $6.8 billion in smart grid infrastructure over the next ten years. New Â Zealand is reaching near full market penetration of smart meters and will shift to investment in distribution automation, the analyst says. Significantly, New Zealand has accomplished its roll-out without a raft of new regulation, simply due to the positive business case of smart meters. significant opportunity in other states, according to the report. Victoriaâ€™s roll-out was driven by a state government mandate. So far, regulations in other Australian states and at the national level have been more limited. But customers and utilities in Victoria are already seeing clear benefits from smart meter deployments, which the Northeast Group suggests could encourage other states to begin incentivizing deployments. As a result, the rest of Australia is expected to begin smart grid deployments in the next 1-3 years, followed by further investment in distribution automation, home energy management, and other smart grid segments. 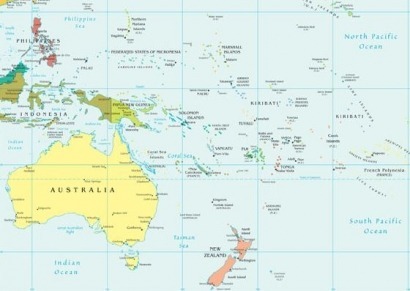 In addition to the aforementioned countries, there are literally scores of smaller territories in Oceania where select market opportunities exist. For example, in more remote areas such as Papua New Guinea, French Polynesia and Fiji, there are opportunities for micro-grid investment and distributed generation.